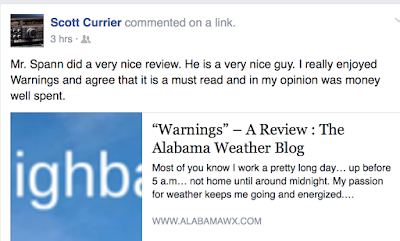 MSE Creative Consulting Blog: More Great Reviews of "Warnings"
So very pleased that Scott enjoyed Warnings and recommends the book. Most of you know I work a pretty long day… up before 5 a.m… not home until around midnight. My passion for weather keeps me going and energized. 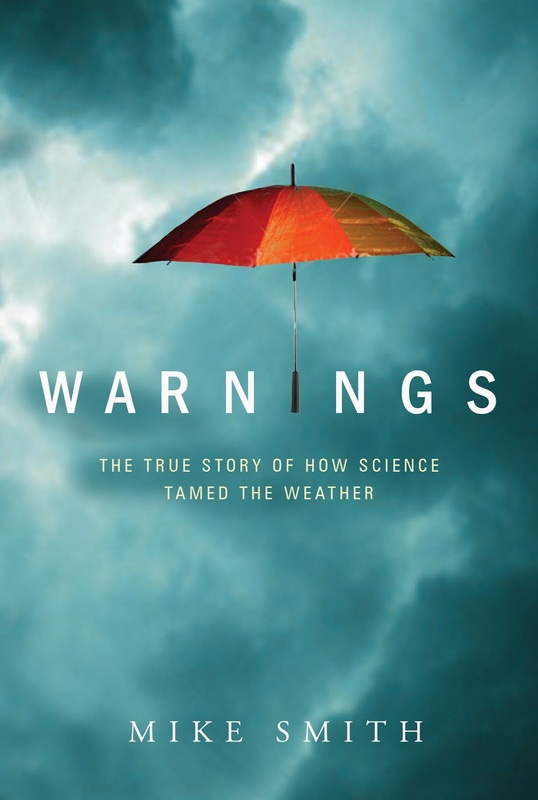 Unfortunately the long hours prevents me from reading many books, but I was able to finish “Warnings: The True Story of How Science Tamed the Weather” by my friend Mike Smith this month. For those that love weather, this is one of those books that is hard to put down. Not only is it a history of the severe weather warning system in the United States, it also weaves in the personal story of Mike’s long career. James' entire review is here. 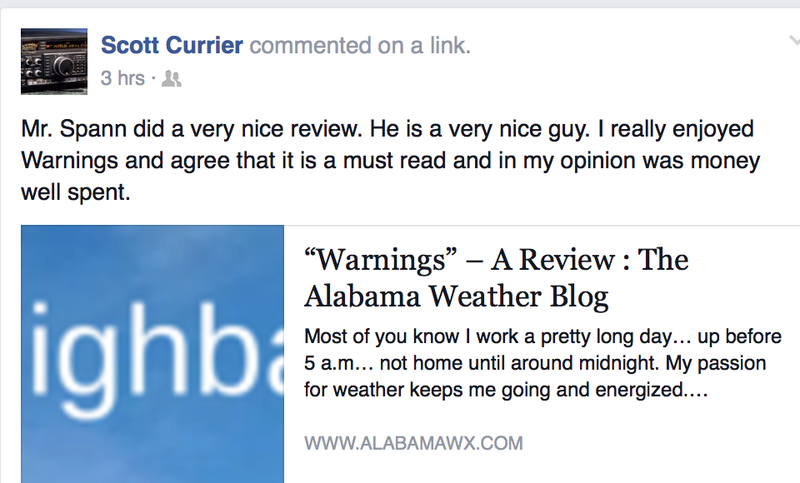 So, if you are interested in a "gripping" book about weather and the people that save so many lives, click here. The book is very easy reading and would be a perfect book to read over spring break.